There’s no question that a bitcoin ETF will do incredible things for us. We’re talking about a way for a groundbreaking amount of capital to enter the crypto market – pushing prices to record heights – all while giving more credibility to a market seeking mass adoption. Simply put, it’s a huge deal… and we’re ALL hoping for an SEC approval to CBOE’s proposal placed earlier this month. But here’s the thing: Although we’re hoping for the best, some are expecting the worst. And to play things safe, we are too. Yes, BTC has finally jumped past $8k… but FOMO shouldn’t play any role in this potentially short-lived (ETF approval-dependent) rally. 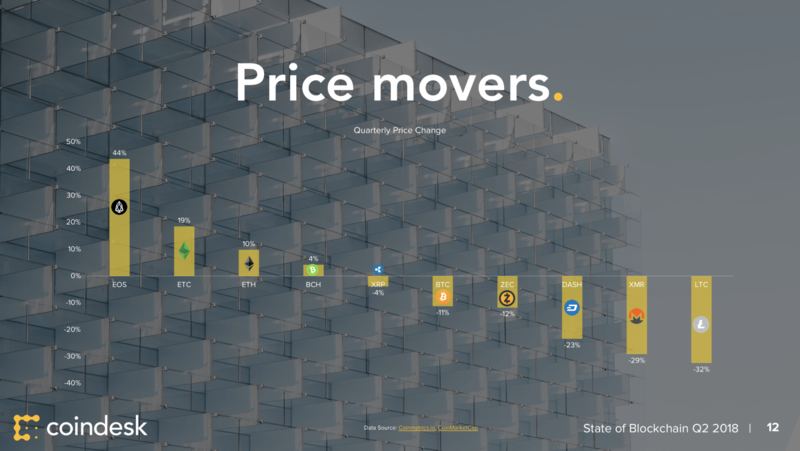 In another State of Blockchain review, CoinDesk summarizes key trends, data, and events that happened over the previous quarter. Car Insurance, Life Insurance, … Crypto Insurance? Companies are starting to form around the idea of possibly offering insurance to crypto-related companies. Crazy? Possibly. But these companies see the writing on the wall with crypto and it’s slow growth towards broader acceptance, that they are willing to take the risk – even if they have to charge a whole lot more for it. This was a great and simple read by Floodgates’ Mike Maples… especially for those interested in long term crypto investing. If you’re having second thoughts on short-term trading, this read may go a long way as well. Fintech research firm Autonomous Next just released a massive 124-page report featuring nearly every chart and statistic you can think of. Be prepared for some neat infographics and loads of content. Founder and chief scientist at Ethereum Vitalik Buterin recently sat down with economist Tyler Cowen for a 50 minute interview. In their conversation Vitalik discusses various subjects, including the two big challenges crypto must overcome to go mainstream. Those who want a TL;DR of the podcast, we’ve got you covered. In this deep dive, KJ Erickson of Simbi makes the case that networks – in which the participants are the owners and incentivized by tokens – have immense potential to remake the current business landscape as we know it. As you may be aware, last Thursday night — for the first time ever — Teeka Tiwari sat down with TV host, Glenn Beck, to discuss what’s really going on in the crypto market today. And in this new presentation, Teeka summarizes all his findings. Including where bitcoin’s price is headed next (hint: Teeka believes it will break a new record by Christmas); a new development in the crypto market no one is paying attention to that could push the price of smaller, lesser-known cryptos even higher; and the simple way to play this market to make an absolute fortune. He made waves by uttering “we should prohibit U.S. persons from buying or mining cryptocurrencies”. His argument? Mining uses up tons of electricity, which then leaves a large carbon footprint. Only thing is… he seems to have ulterior motives. Once you see who his biggest donors are, you’ll start to see why. Ethereum Classic (ETC) is starting to out perform ETH on the ETC-ETH chart (though trend is admittedly very early). ETC has institutional support from Greyscale and a few others that have allocated to ETC in their funds. And once ETC is added to Coinbase there should be quite a bit of buying there as well. After consolidating for the last 12 months, if the lower boundary of the ETC-USD trend channel continues to remain intact, this could be a 20x by the end of 2019.